Don't Drive to Dinner: Greetings from New Orleans! Anyone for alligator in a bun? Greetings from New Orleans! Anyone for alligator in a bun? Okay, I admit it, I've been slow to write about New Orleans. The problem is that there's too many distractions - last night I was distracted by a remarkably strong, bright red cocktail with a cherry in it, a fountain that burst into flames and a bagpiper playing Jesus Christ Superstar. So hopefully you'll forgive me. So, anyone for alligator in a bun? I came to New Orleans knowing surprisingly little about the cuisine - but what I did know is that the French influence meant they took their food very seriously here. My big book of clichés suggests I call the city a 'melting pot', and it's very tempting to do so. There are influences of French, Spanish, Portuguese, Italian, Native American and African cuisines. The two main cuisines are Creole and Cajun, and I'm only just learning the difference. You could say it's as simple as a tomato. Creole food has them, Cajun doesn't. Equally, you could say that Creole food is 'city' food and Cajun food is 'country'. It's also worth noting that although Cajun food is Louisianian in origin, I've read that it only arrived on the New Orleans restaurant scene in the 1980s. What ever the truth is, dishes from both cuisines seem readily available in the city - a slight bias to Creole in the upmarket restaurants and to Cajun in the market stalls. 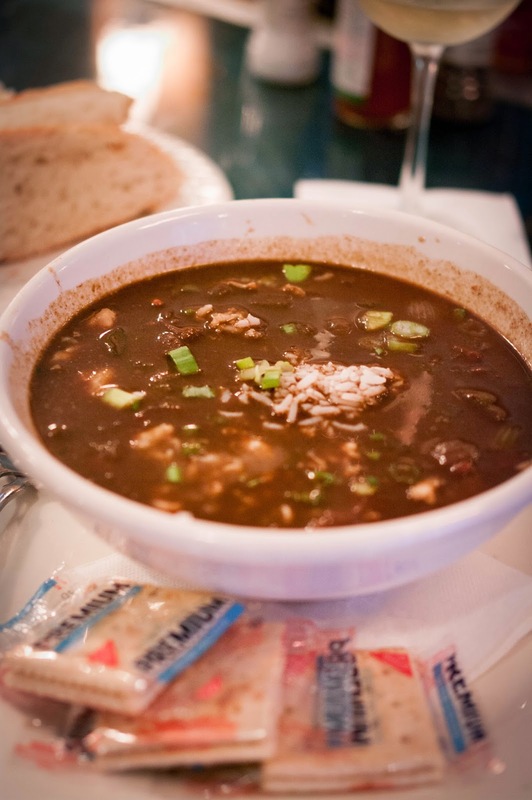 So, time to build the checklist - from Creole, there's Gumbo, the classic dark fish stew. There's Jambalaya, the Creole cousin of paella. There's red beans and rice. 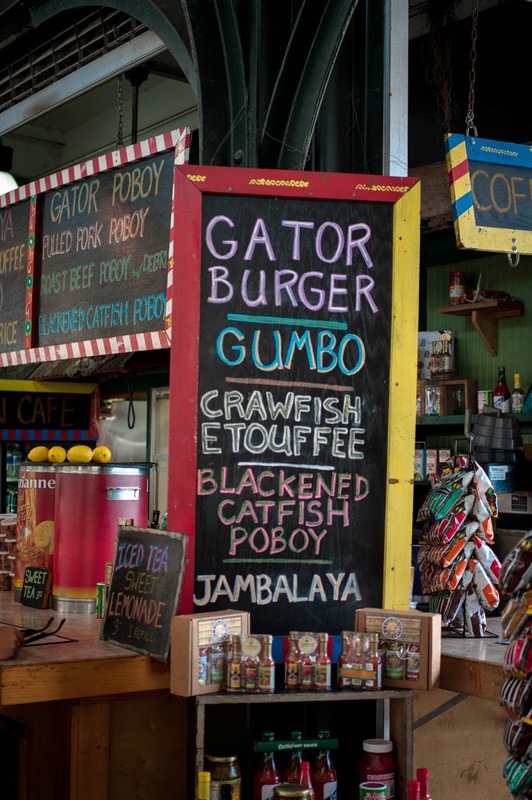 In the Cajun camp, we have blackened catfish, the spicy boudin and andouille sausages and, of course, the alligator. Finally, we have dishes that seem to be to be more of New Orleans itself - for example, the po'boy, a variation on the sub / baguette with a light, crispy roll. Or there's the muffaletta, an Italian influenced cheese, ham and olive sandwich designed to feed a family of four. 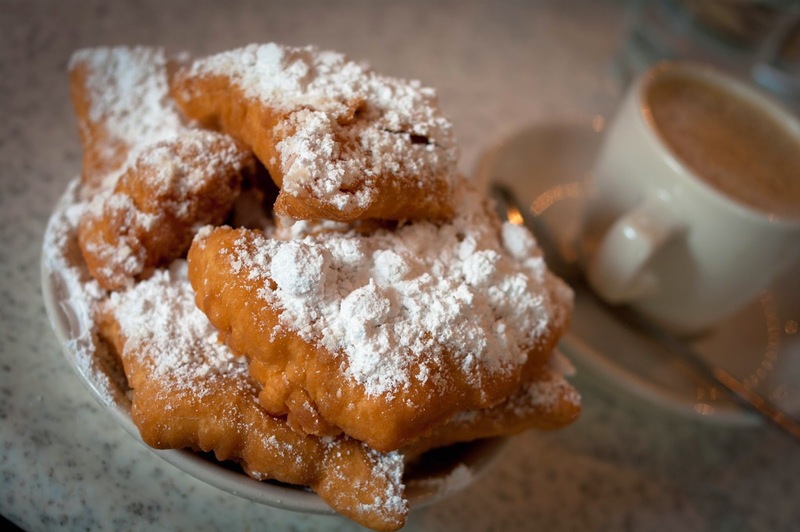 Oh and we mustn't forget the beignet - the light doughnut served with mountains of icing sugar, classically served at the Cafe Du Monde (which, conveniently, is just moments from our apartment). So, New Orleans, you're going to do nothing for my diet, post-Texas, but we're definitely going to have fun. And I haven't even got round to talking about the cocktails yet! Cajun vs Creole - what's the difference? New Orleans - First isn't always best!